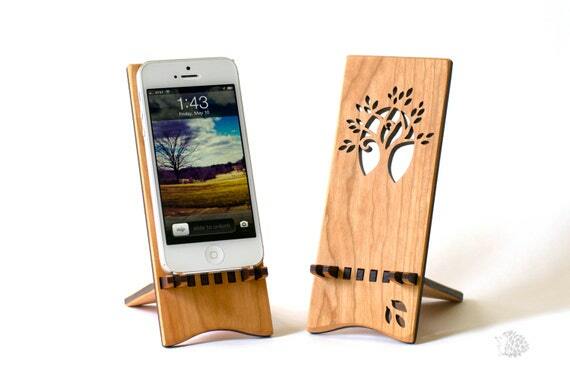 The first item I ever “pinned” on Pinterest was an iPhone stand made of wood from ideasinwood. 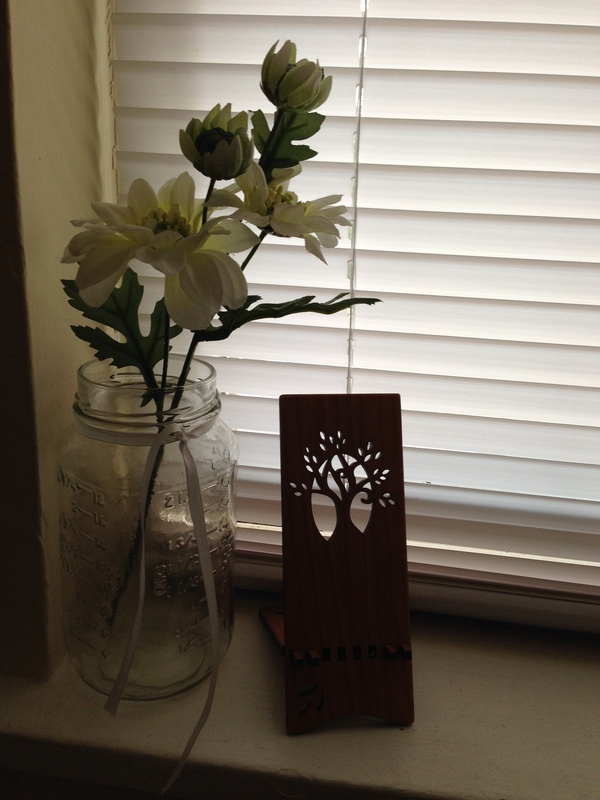 It had an intricate cut out of a tree that immediately just felt like it belonged to me. I would look at it every once in a while and almost buy it, but sometimes I take my time with purchases (not with books though, those I buy with reckless abandon). It’s fantastic, clearly. I have no idea why I was dithering. But then, I went to a Christmas craft fair and lo and behold – the maker of this amazing piece was there with a sales table (and I knew her! She’s a lovely person in addition to being extremely talented). It was fate – I had to buy one. Now it lives in my house and holds my phone. 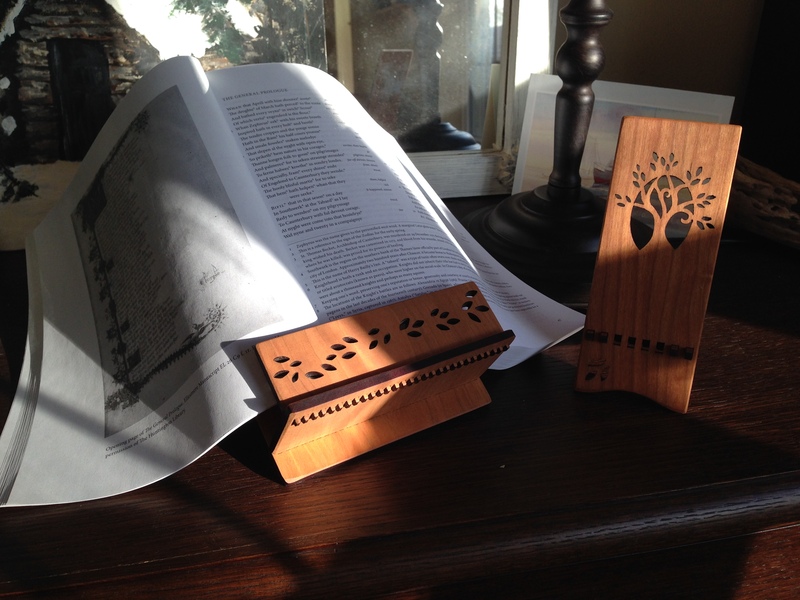 Then I saw this post at Medieval Fragments about book furniture, and I realized that I needed something to hold my books and while I took notes, and then my notes while I typed. I was going to get me a lectern! But everything I looked up was either too ornate, or else didn’t seem to get the angle right, or it had food related decorations – basically, most of what I found was for display only, or for cookbooks. 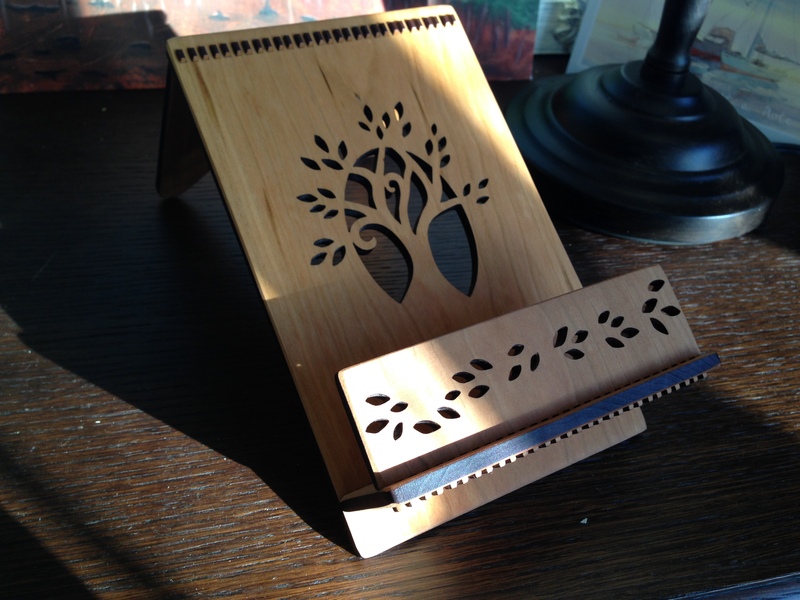 I realized that what I needed was a larger version of my iPhone holder, but with a lip on the edge to hold the pages down. And now it lives in my house too. 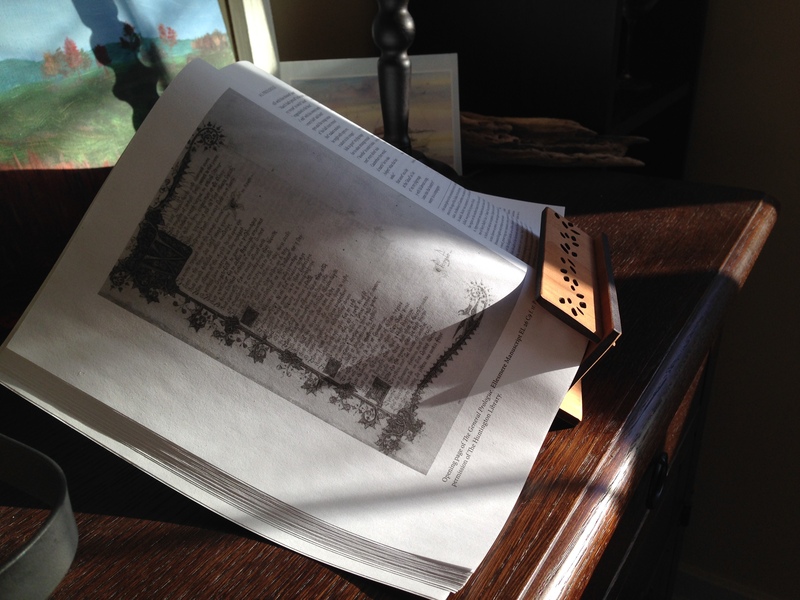 And it’s big enough to hold my giant book of Chaucer. I think they look cute together with their matching trees. 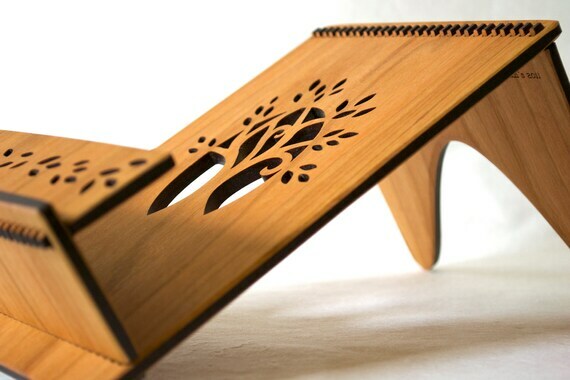 Lovely designs. Have a Tolkien-esque feel about them, with the trees and all.